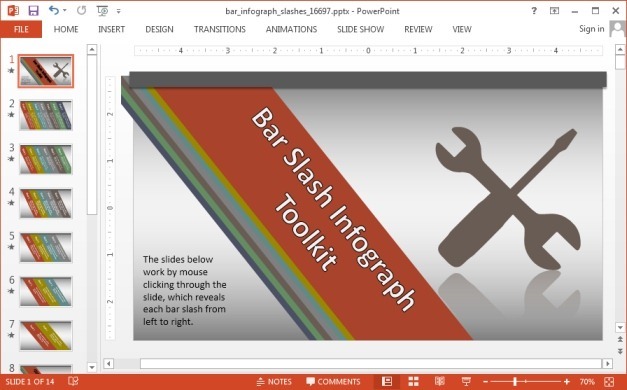 In previous posts we have covered a number of templates which can be used for making infographic slides for PowerPoint presentations. 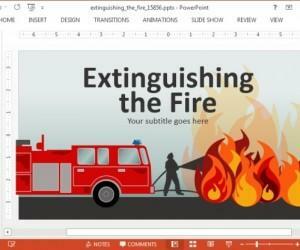 We have also covered a comprehensive list of the Best infographic Maker Template for PowerPoint. 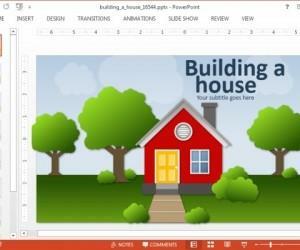 In this post we will cover an interactive Infographic PowerPoint template which can be used for making animated infographic slides with bar slashes to present presentation sub-topics in a set sequence. 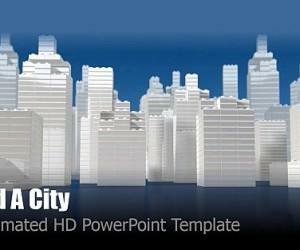 This animated infographic template comes divided in two separate sections. The first section provides bars with textboxes for presenting different sub-topics side by side. 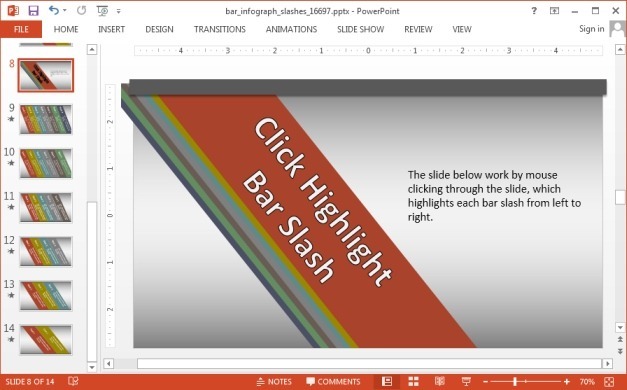 This section starts with an opening slide where you can add your title to introduce the presentation’s content. This is followed by slides which display animated slashes one by one. 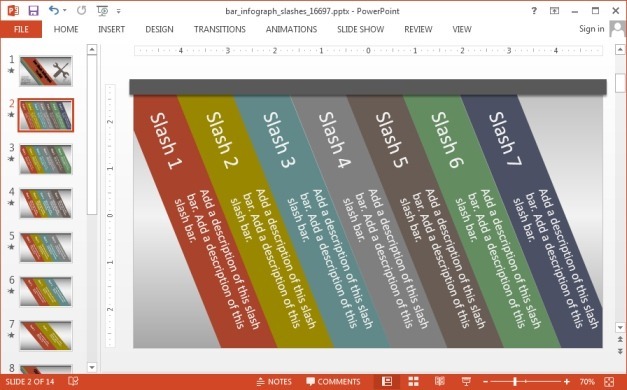 These slides provide from two to seven slashes, making it possible to reveal various topics one by one in a single animated slide. You can also narrow down topics by starting with the seven slash slide, followed by the six slash slide and so on. The second section of this infographic template provides a set of slides which are highlighted as you proceed with your topic. 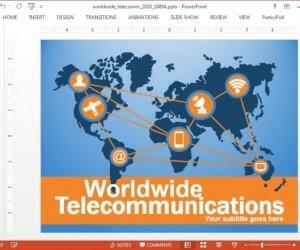 Like the first set in this template, you are given an introductory slide to introduce your topic. This is followed by a set of seven slides, six slides, five slides and so on. 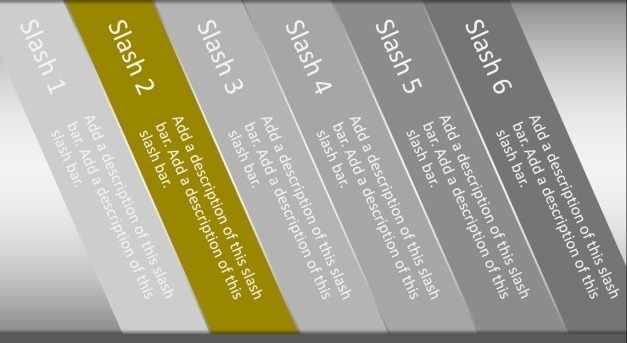 The advantage of using this layout is that you can highlight different sub-topics in various colors as you proceed with explaining your presentation’s content. 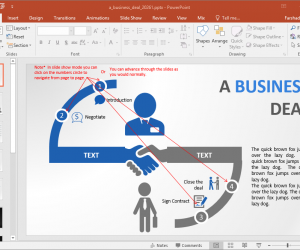 This infographic template can be downloaded in various formats for PC and Mac versions of PowerPoint, as well as for Keynote. 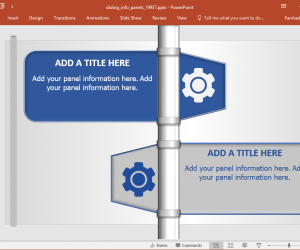 This interactive template is available in the form of Standard and Widescreen slide designs.